An infected or impacted tooth can leave you writhing in pain. Francisco Marquez, DDS, does all he can to save your teeth, but sometimes extraction is the best option. 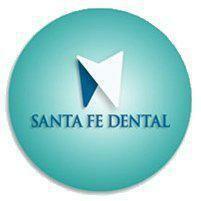 Dr. Marquez performs surgical extractions at Santa Fe Dental using up-to-date methods to make you as comfortable as possible. If you’re looking for a dentist to extract your tooth in the Santa Fe Springs, California area, call or use the online booking option to schedule an appointment to be seen right away. Wisdom teeth sometimes get stuck inside the jaw and fail to erupt through the gums. They put pressure on other teeth inside the mouth and can cause inflammation and pain. Dr. Marquez always recommends extracting impacted wisdom teeth. If a root canal can't repair an infected tooth, it must be extracted. Teeth that have had extensive work, are too weak, have too much decay, or can’t otherwise be saved, should be pulled. In preparation for braces, orthodontists sometimes need to pull teeth to make room in the mouth to straighten the teeth. What happens during a surgical extraction? Before the procedure, Dr. Marquez takes X-rays to get the full picture of your teeth below the gumline. If you have an infection, he may prescribe antibiotics to clear the infection before surgery. When it’s time to extract the tooth, Dr. Marquez uses sedation and local anesthesia to prepare you for the surgery, minimizing or eliminating discomfort. Once that kicks in, he begins surgery. If the tooth is already above the gumline, he can do a simple extraction by loosening it with a tool called an elevator and pulling it out with forceps. If the tooth is still below the gum line, Dr. Marquez must cut an incision into the gum to pull the tooth. He uses the same tools for a surgical extraction, but he may need to cut the tooth in half to pull it out. Then, he stitches the incision shut. You may experience discomfort after a surgical extraction, but Dr. Marquez provides you with pain medication and follow-up care instructions before you go home. What happens if I don’t get my tooth pulled? An infected tooth is an emergency. The infection could spread to the jaw, neck, and head left untreated. Other serious complications of an abscessed tooth include a compromised airway, bone deterioration, and sepsis. Problematic wisdom teeth can cause significant damage inside the mouth if you don't let a dental professional like Dr. Marquez extract them. Sometimes they come in crooked and push up against neighboring teeth, causing alignment, bite, and tooth damage. Other times, wisdom teeth become inflamed and painful, creating residual sinus and jaw issues. Dr. Marquez does everything he can to save your teeth, but sometimes a tooth can’t be saved. 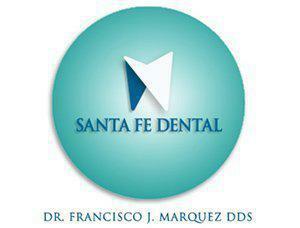 If you need a tooth extracted, contact Dr. Marquez online or by phone.